The industrial giant makes most of its money overseas, but the boss says it can survive protectionist moves, as well as new rivals like IBM. Jeff Immelt chuckles a lot. He gives off a very casual vibe for the CEO of a $273 billion multinational industrial powerhouse. Perhaps it’s from being well settled into the CEO job, which he’s held since taking over from Jack Welch in 2001. It’s even evident as we’re talking about some heavy topics—including the recent election—when we meet during GE’s Minds+Machines conference in San Francisco on November 15, a week after election day. If Immelt is worried about the rise of a president with whom he has strong, public disagreements, he’s hiding it pretty well. The Republican CEO worked with the president-elect when The Apprentice aired on NBC, back when the network was owned by GE, and he said in an August Vanity Fair interview that he was fond of Trump. “But there’s just no place for discrimination in our place or any other company or in the U.S., so the comments about Mexico or Muslims, that’s unacceptable to us,” said Immelt. GE’s response has been to increasingly move overseas, he tells me. “Almost 70% of our revenue is outside the United States,” says Immelt, sitting relaxed in a suit but open-collar shirt, without a tie. Though crowned in bushy white hair, the 60-year old actually looks younger in person than in photos. “We have factories everyplace,” he says. “We can make and sell things everyplace we need to. We don’t need to import or export or do whatever.” Yet he follows by saying that GE is the United States’ second-largest exporter (quoting a Financial Times article from 2015). 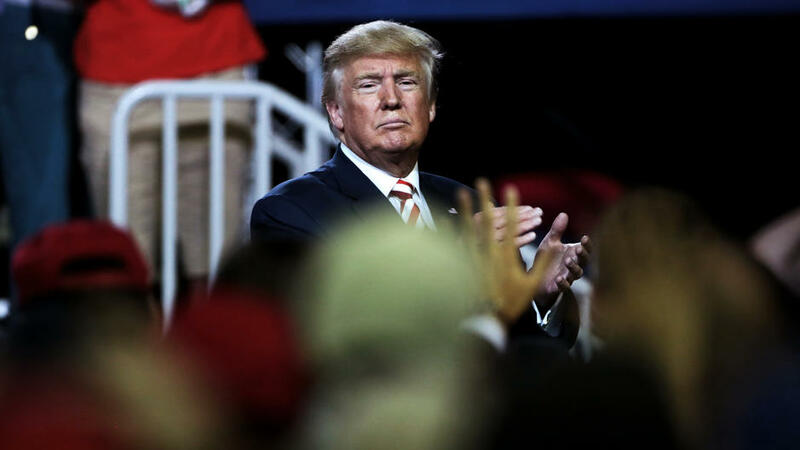 Donald Trump certainly doesn’t want to hurt exports, with his promises to bring back manufacturing jobs; but pulling back on free trade agreements risks that effect. Trump would pay the price for that, Immelt intimates. “Between our employees”—125,000 in the U.S.—”and our suppliers, there’s a million people in the US that depend on GE, that go to work every day,” he says, and chuckles as he continues. “These are people in all of the Trump districts, all of the red states, all of those counties. Probably every one has some connection to GE. We’re proud of that, and we think our ability to win around the world creates jobs in Pennsylvania and Ohio and Michigan, Wisconsin, all those places.” If he were holding a microphone, I wouldn’t be surprised to see him drop it. If the name of the company conference, Minds+Machines, doesn’t make it clear enough, Immelt doesn’t see GE as the kind of old-time industrial operations that Trump wants to restore. GE’s portrayal of its future looks more like the kind of “advanced manufacturing” operations promoted by Hillary Clinton, or like the Silicon Valley firms that funded her—where software, networks, and artificial intelligence are integral. “We call ourselves digital industrial,” says Immelt. “So what that kinda means is a material science-based, high-tech industrial company that is now really aspiring to lead the digital space around its core. So that means analytics. It means industrial software. It means ecosystem connectivity. It means additive manufacturing, and material flows, and all of that.” These don’t sound like traditional factory jobs, and they need more than traditional factory skills. The industrial giant is investing heavily in machine learning, with promises to save money on energy and maintenance. Immelt chaired the Obama administration’s President’s Council on Jobs and Competitiveness, a group of private-sector leaders charged with advising the chief executive on economics, competitiveness, and “ways to create jobs, opportunity, and prosperity for the American people.” Promoting high-tech job training was one of the key recommendations of the group, and Immelt himself acknowledged that the recommendations seemed to make minimal impact, in a September interview at the Council on Foreign Relations (CFR). How does GE compete with IBM’s much-hyped Watson? 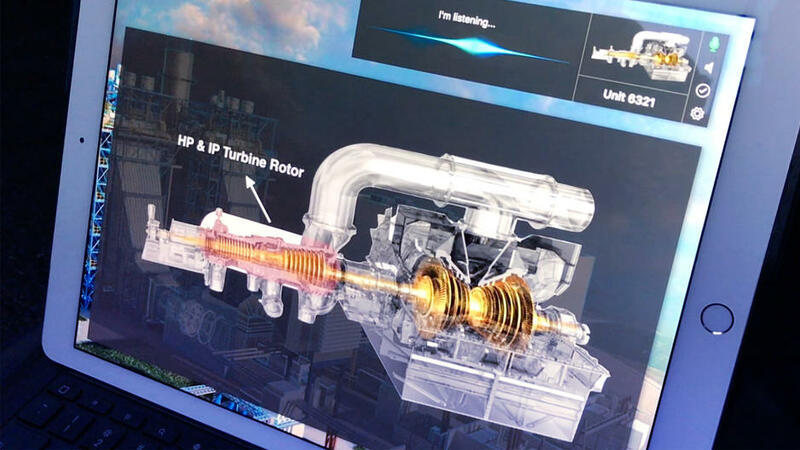 GE came to San Francisco to tout Predix, a cloud-based platform that gathers the huge amount of data from large connected devices like gas turbines, locomotives, or windmills. It then applies machine learning to analyze patterns and anomalies and identify better ways to run the machines, as well as to spot signs of an impending breakdown. Since GE announced Predix in August 2015, the company has purchased three machine learning companies and ServiceMax, which makes software for dispatching service personnel. But Bill Ruh, GE’s chief digital officer, tells me it will take till mid-2017 to develop the full AI capabilities that Predix needs. GE’s inaugural Predix developer’s conference brought in 1,500 developers earlier this year, versus 1,300 coders at IBM’s Watson Developers Conference in early January. 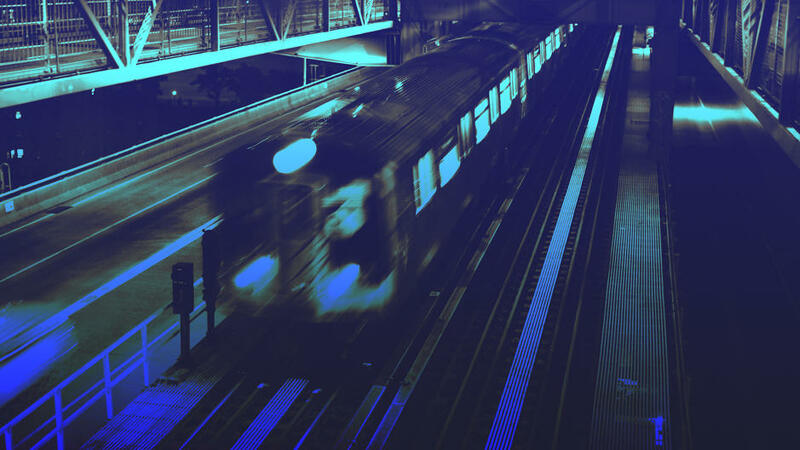 IBM last year launched its Watson Internet of Things division, which competes with Predix by applying artificial intelligence to analyzing and coordinating connected devices and machinery. GE also must contend with its German rival Siemens, which offers a service very similar to Predix called Sinalytics. It’s also a data gathering and analysis platform for a range of similar devices, including trains, gas turbines, and wind turbines. Like Predix, Sinalytics includes “digital twins”—virtual copies of machines like turbines, generated from the live stream of sensor data. The twin can be used to study how a machine or a collection of machines is working and try out different configurations to save energy or reduce wear and tear. Immelt’s eyes dance when he talks about the technique. “That was only like half of an idea four or five years ago, and now you see it on steroids. You see it working,” he says. Like GE, Siemens also makes medical imaging devices, as does Philips. Like GE, Philips has its own cloud system linking its medical devices to manage and analyze the data they generate. Digital twins are virtual copies of machinery based on realtime sensor data. Immelt has reined in the sprawl that occurred under Welch. The company sold its remaining stake in NBC Universal to Comcast in 2013 for $16.7 billion, and it recently sold its appliance division to Chinese consumer tech company Haier for $5.6 billion. It also pared back GE Capital, its once too-big-to-fail financing division that accounted for about 41% of earnings between 2000 and 15. By 2018, GE expects it will contribute less than 10%. Big machines, with software and networks to run them, is where Immelt is staking GE’s claim. “I think there was no inherent strength necessarily that NBC had when Netflix came along, right. But there is an inherent advantage that we have when the industrial internet comes along because of the assets,” he says. “If I get sick of this,” he says, holding up his smartphone, “or you get sick of that [pointing to mine], you throw it away. You don’t do that with a jet engine or a gas turbine.” Again, Immelt laughs. I chuckle back, though I’m not sure I have the cash flow to support throwing away my phone. “I think the luxury that I have and almost nobody else in the world has is, I don’t have to be right about which fuel wins,” says Immelt, laughing. “Cause I’ve got a chip on all of them.” Whether or not President Trump brings back coal or kills solar, GE will have something to sell. It goes beyond generation. If coal grows, so does the demand for locomotives to haul it (and maybe for medical-imaging devices to diagnose lung damage from pollution). All the presidential candidates promised to modernize infrastructure, which could include the crumbling electricity grid. GE makes equipment for that, and for making the grid more flexible to deal with the daily waxing and waning of power from wind farms. GE also has a service called Current that uses Predix to study energy use in buildings (from offices to factories). Current also sells solar panels, LED lighting, and electric car-charging stations to companies that want to green up. Immelt’s belief in science puts him again at odds with Trump, who has taken a detour around a mountain of scientific evidence to claim that global warming is a hoax (and that there’s no drought in California). Trump has also picked climate change conspiracy theorist Myron Ebell of the Competitive Enterprise Institute to lead the transition’s search for a new head of the Environmental Protection Agency. Immelt still sees an upshot to coal plants, which are typically 35% energy efficient, he says. “If you take that from 35% to 40% efficiency, that reduces more carbon than an incredible influx of solar or other renewable energies. So there’s a lot of different ways to skin the cat,” he says. That comparison is a controversial one, however: according to an analysis by the consultancy Ecofys, long-term investments in more efficient coal-fired plants rather than renewables would still not reduce carbon enough to meet the goals set by the U.N. Paris Agreement, including limiting global temperature rise to below 2°C above pre-industrial levels. GE has been a bull’s-eye for populists on both the left and the right, with accusations of exporting U.S. jobs and booking profits in other countries with low taxation in order to skirt U.S. taxes. A 2011 investigation by the New York Times reported that clever (though legal) accounting allowed GE to pay no U.S. taxes in some years. Sanders didn’t make it to the White House, but along with President-elect Trump comes his far-right chief strategist Steve Bannon. He was no kinder to GE—though for different reasons—speaking to a 2014 conference, according to a transcript recently published by BuzzFeed. “General Electric and these major corporations that are in bed with the federal government are not what we’d consider free-enterprise capitalists…They’re what we call corporatist. They want to have more and more monopolistic power, and they’re doing that kind of convergence with big government,” said Bannon. To some extent, GE and the government have been collaborating. Obama did pick Immelt to chair the President’s Council on Jobs and Competitiveness, and Immelt also served on the board of the New York Federal Reserve Bank. I ask Immelt if there are ways that a Trump administration can hurt GE, and it’s the one time that he stumbles in his response. “Again, I’m just not. I’m, I’m, I just think we should, we should give him the chance to kinda pick his team, and get going and see what happens,” he says. What’s Great For America Is Great For GE? Immelt would like a reduction of corporate taxes from about 35% to “the low 20s,” he says, along with curtailment of the many deductions that make the effective tax rate much lower, anyway. Trump would go even further, taking the tax rate down to 15%. Trump will soon have to prove he’s the manager he says he is. One expert in public-private innovation explains how he can pull it off. “You would have elements that would simplify the code, promote investment, lower the rate, take away deductions, and then have some kind of territorial system so that companies can move cash around the world, with clearly established rules,” says Immelt. GE has kept its money abroad, say critics, to avoid paying U.S. taxes, though it’s hardly alone. Moody’s reckons that U.S. companies will have piled up $1.3 trillion overseas by the end of the year. Among the biggest hoarders are tech companies, the sector that supported Hillary Clinton. GE’s foreign cash holdings are about $100 billion, according to research firm Capital Economics. Apple’s are about $200 billion, according to Statista. Trump has called for slashing taxes to 10% on money that companies like GE or any of the tech giants bring back into the U.S.
Immelt rails against regulations—as does Trump. “Government has failed to promote growth in almost every corner of the world. In the U.S., regulation has expanded while infrastructure has lagged,” he said in his commencement address. Trump has also decried the state of U.S. infrastructure and introduced a plan to spur $1 trillion of private investment. Part of the plan is $137 billion in federal tax credits. If any of Trump’s plan works, there could be money in it for GE. Correction: an earlier version of this story incorrectly stated that Immelt currently sits on the board of the New York Federal Reserve Bank. He was a board member until 2011.